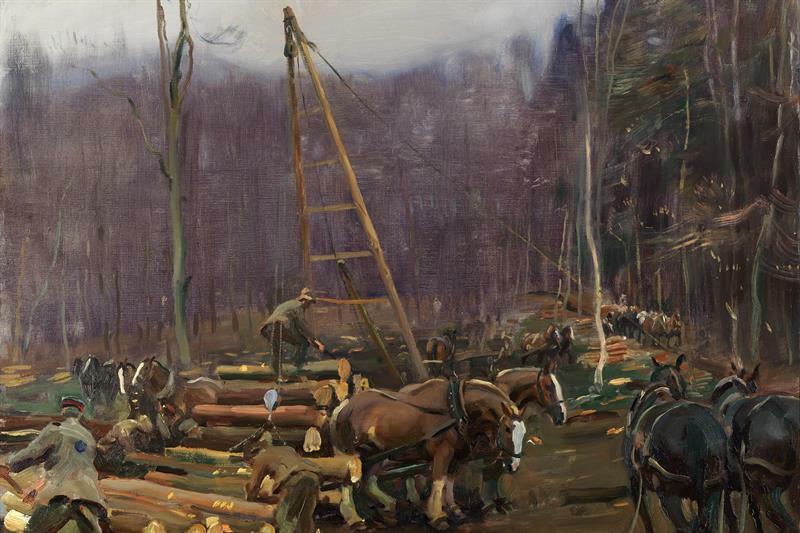 ​In November last year we featured an exhibition of the works of artist, Alfred Munnings at the National Army Museum. The exhibition has now moved to the artist's former home at Dedham in Essex and is on show until 3rd November 2019. In November last year we featured an exhibition of the works of Alfred Munnings at the National Army Museum. The exhibition has moved to the artist's former home at Dedham in Essex. The Alfred Munnings’ paintings of the Canadian Expeditionary Force have not been displayed together in Europe since 1919. The collection commemorates Canada’s very significant contribution and sacrifice in support of the Allied cause. The First World War cost the lives of some 60,000 Newfoundlanders and Canadians, almost ten per cent of those who served in the conflict. The pictures also record the contribution of the Canadian horses to the war effort. At the end of the First World War there were public demands that the horse heroes should be treated with respect. However, the Army had far more horses than it needed in peacetime. Around 500,000 horses were sold for work, about 100,000 of these in Britain. Due to public concern that some Europeans, Egyptian and Middle Eastern owners did not look after horses properly, all buyers had to be investigated. The War Office promised that unwanted horses would be destroyed rather than sold on to cruel owners. Sadly, some 61,000 horses that were not fit for work were sold for meat.